RAJASTHAN cadre IAS of 1980 batch Gurdial Singh Sandhu has been appointed as new secretary in the department of financial services under the ministry of finance. 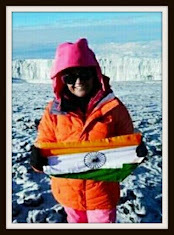 In somewhat like a musical chair, Sandhu will take the place of 1979 batch Gujarat cadre IAS Rajiv Takru who is…appointed as new revenue secretary. With the retirement of current revenue secretary Sumit Bose on March 31, secretary in the department of economic affairs (DEA) and 1978 batch Rajasthan cadre IAS Arvind Mayaram will become the senior-most among five secretaries in the ministry, and hence he is likely to be designated as finance secretary. There were speculations that Rajan S Katoch, 1979 batch Madhya Pradesh cadre IAS and current enforcement director, will be the new revenue secretary. But the government in the end decided to shift Takru to revenue department instead. New financial services secretary Sandhu is currently in the cadre. A principal secretary in Rajasthan’s urban development ministry, Sandhu held the position of CMD of Jaipur Metro Rail Corporation, Jaipur. 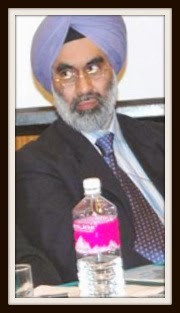 Between 2003 and 2008, Sandhu was on Central deputation serving as joint secretary in the department of chemical and petro-chemical. In late 90s, Sandhu was also the MD of Rajasthan State Industrial Development and Investment Corporation (RICCO). Sandhu did M.Com before joining as IAS. With many more new private banks in the offing, Sandhu will have a challenging time ahead. He is retiring on September 30, 2015. Well said, I think you should know more about the babus and the financial services. A new financial services secretary Sandhu is currently in the cadre. Let's see how much he use the financial services with the help of turnkey universities.